I did not expect to be playing Gods Remastered, on a PS4, in 2019. Originally released on 16-bit gaming systems back in 1991, Gods was an action platformer set in Greek Mythology that cast players as a hero who must defeat four guardians who have invaded the Citadel of the Gods. Vastly different from other platforming efforts of the time, Gods was a resolutely methodical affair stuffed with traps, respawning enemies and permadeath; making it a supremely punishing title which would soon see off those who were used to more faster-paced and carefree genre offerings. Some 28(!) years later Gods Remastered is now officially a thing that you can play on your PS4 and though it polishes the audiovisual presentation commendably, the core gameplay remains almost identical to the original game. Sadly the main issue with this is that the core itself really hasn’t aged all that well at all, a fact that will likely sit better with the small handful of crusty, die-hard fans and not quite so well with everyone else. Gods Remastered makes ample use of the Unity engine, but the underlying game is practically identical to the 1991 original – warts ‘n’ all. A side-scrolling, two-dimensional platformer, Gods Remastered has you jumping from one ledge to next, destroying waves of supernatural, mythological foes with a variety of ranged weapons, collecting keys and flipping switches in order to proceed. The (long) trip to PS4 has also resulted in a visual upgrade too; powered by the jack-of-all-trades Unity engine, the blocky sprites and backgrounds of the original have been replaced with fully three-dimensional character models, high resolution artwork and reworked sound to boot. Likewise, fans of the original who want to remember how it looked back in the day can switch between the new and the old assets with just a quick click of the R3 button, though it must be said that on a 55 inch 4K television, the original assets aren’t easy on the eyes. So, for the sake of your eyes, and assuming you’re not wrong a much smaller TV, it’s definitely best to stick with the shiny new remastered visuals. Gods has always been a methodical genre effort. Players who find themselves unable to repress the desire to play the game like Dead Cells will find death comes very, very quickly as the game employs a wide range of highly damaging enemies and traps which demand that you inch your way through each level, rather than charging your way through like it ain’t no thing. 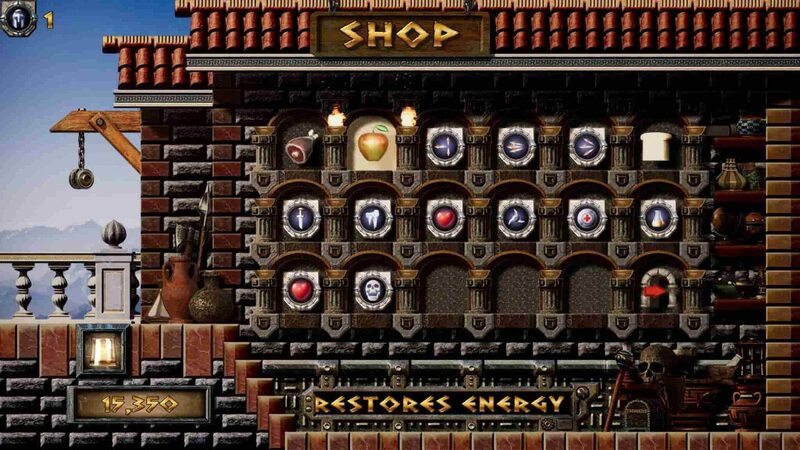 A handy shopkeeper will appear at the beginning or end of world to barter better weapons and items for gems collected from fallen foes and uncovered treasure chests. Now, having a game that is methodical and slow-paced isn’t a problem – but what is an issue is when the responsiveness of the controls just isn’t up to scratch which is sadly the case here. There is a notable split second delay between pressing a button on the controller and something actually happening, which in a game like this which has traps and re-spawning enemies galore, is quite a big sticking point as it can frequently spell certain doom if you’ve not factored the delay into your movements. In addition to the clunky and sluggish movement of the player character, there are some other archaic design decisions which have unfortunately survived the transition to PS4 intact. One of these is how you interact with ladders, because rather than automatically climbing down when you walk over them, your hero simply falls down the height of the ladder (you need to press down first, in order to safely make your descent), causing you to lose valuable health in the process. Another problem lay in how jumping works. Instead of being able to change your direction mid-jump as pretty much all platform games in recent memory have permitted the player to do, in Gods Remastered when you take a leap you are firmly locked onto that trajectory until you land. This means, if you take a wild leap of faith only to see a death-dealing trap beneath your character, you’re basically screwed. Gods Remastered lets players quickly flick back to the visual presentation of the 1991 original. Another feature that Gods Remastered embraces from the pages of Game Design Stuff You Should Not Do 101 is that, somewhat annoyingly there is no way to crouch and shoot at the same time. As a result of this omission, not only is combat largely reduced to ducking enemy fire before standing up and returning your own, but together with the poor jumping, it all just adds up to make your character just feel so disappointingly inflexible and vulnerable. On the other side of the coin, unlike the 16-bit original which was a punishing permadeath type affair, GODS Remastered provides plenty checkpoints and save points for the player to make use of. 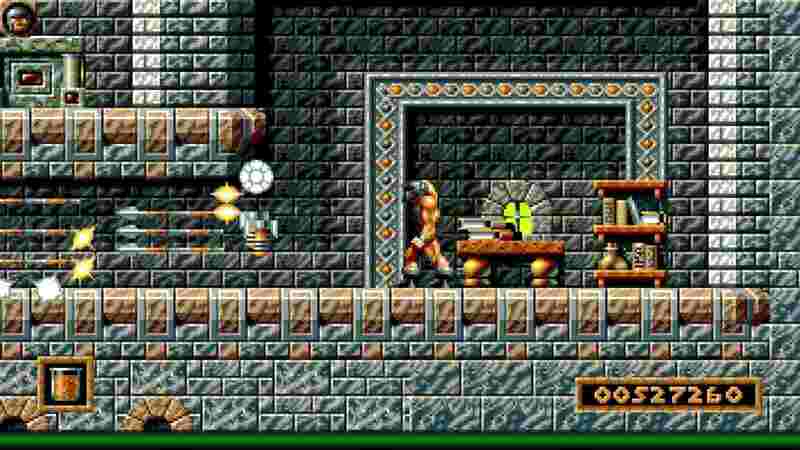 That said, the checkpointing system only seems to work as far as the beginning of the level – so if you lose all of your lives at the boss, be prepared to do everything else in that level all over again before being able to take another crack. Despite the fact that Gods has not aged well for the most part, there are still certain elements of its design which hold up nonetheless. 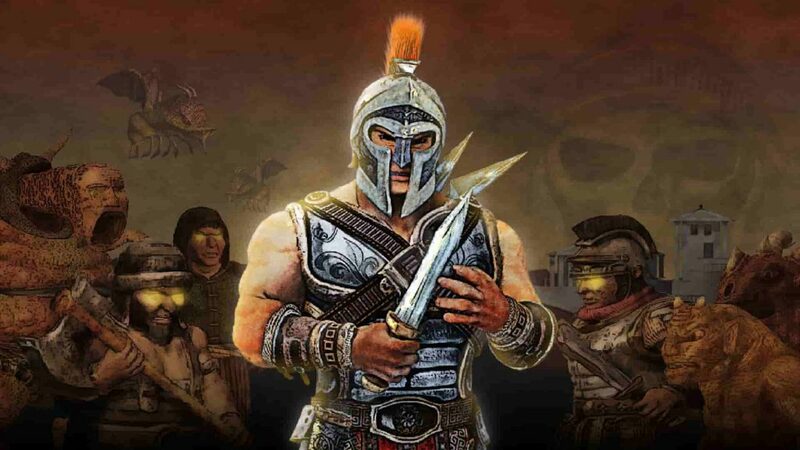 For a start, the emphasis placed on slowly making your way through levels and carefully considering every enemy and trap makes a refreshing change from the usually frenetic status quo of contemporary platform games. Elsewhere, a plethora of secrets and treasure rooms, stuffed with new gear, extra lives and currency to purchase new and upgraded weapons is also welcome as it provides more to do than just follow the main story through to its inevitable conclusion. Additionally, if you find yourself stuck in one section for too long the game helps you out with a gem that teleports you to where you need to go – handily alleviating some of the extra stress that the game might inflict in the process. 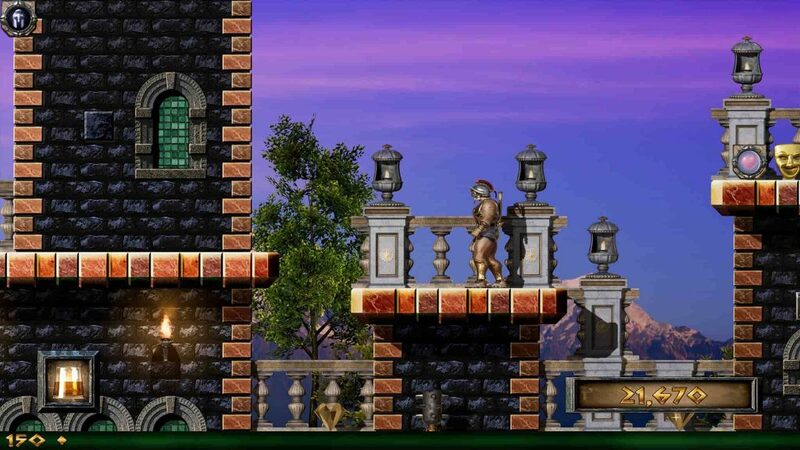 Ultimately it’s a shame that more hasn’t been done to bring the core gameplay of Gods up to date in line with its newfound sheen and contemporary veneer, as there is surely an audience for an accomplished side-scrolling platforming adventure set in Greek Mythology. As it is, crusty and die-hard fans of the 1991 original who literally just want that game in HD with no changes will find much to love here. For everyone else however, Gods Remastered is hardly a divine prospect. Gods Remastered is out now on PS4, PC and Xbox One.